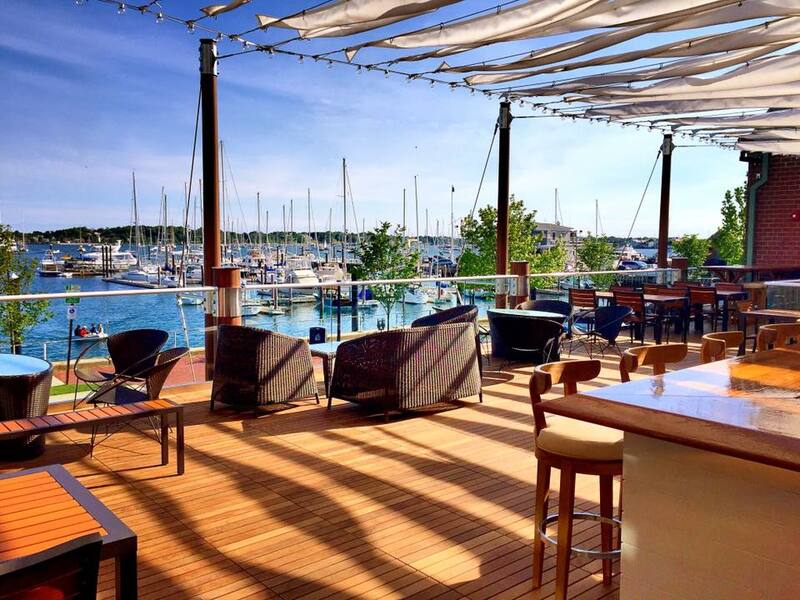 The Newport Marriott recently finished their waterfront deck at one of their bars. 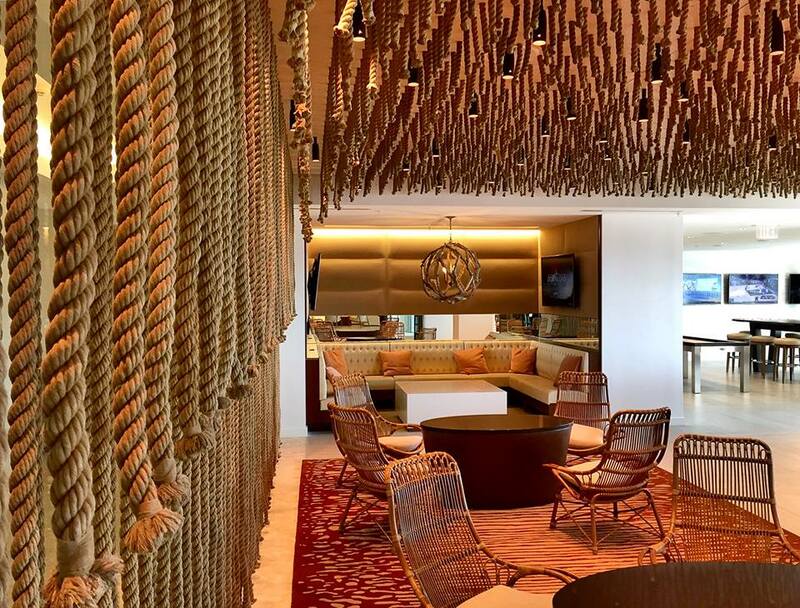 Visitors can enjoy a gorgeous view overlooking the Newport harbor at the hotel without having to book a room. 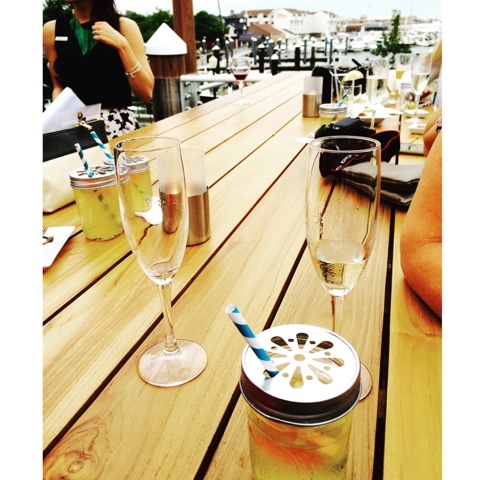 The Newport Marriott hosted local reporters and bloggers at The Skiff Bar earlier this month to enjoy cocktails, hors d’oeuvres and the waterfront. 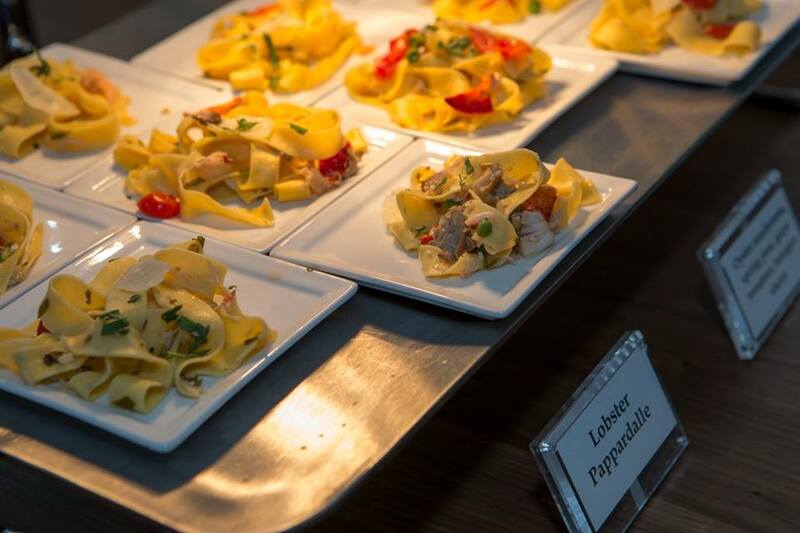 Since I went to the party immediately after work, I sampled nearly all of the hors d’oeuvres—I would have to say that the lobster pappardelle was my favorite. It doesn’t matter if you’re a toddler, a twentysomething or a [insert decade here]something—getting a goodie bag is still one of the best things about attending a party. 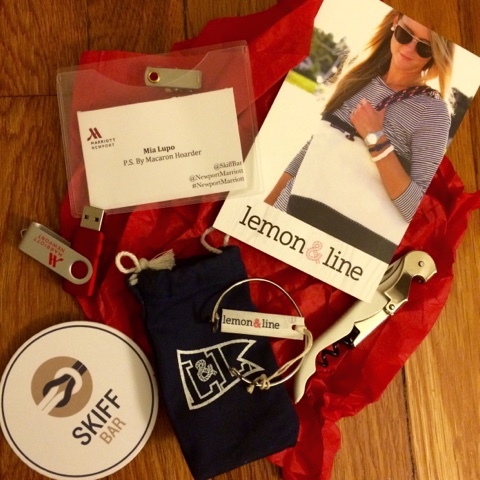 In addition to a few things from the Newport Marriott, Lemon & Line, the evening’s sponsor, gave out one of their bracelets.